This is not going to be a style post today, but it is something that deserves attention. 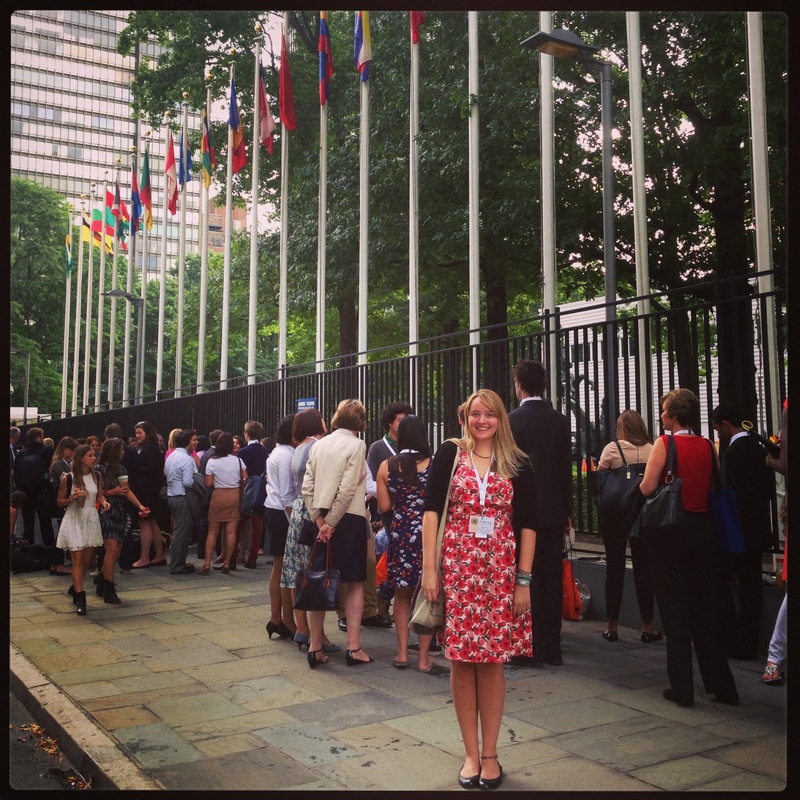 Today I got to do arguably one of the coolest things ever – I was lucky enough to be one of the 500 youths from all over the world attending Malala Day at the UN Headquarters. 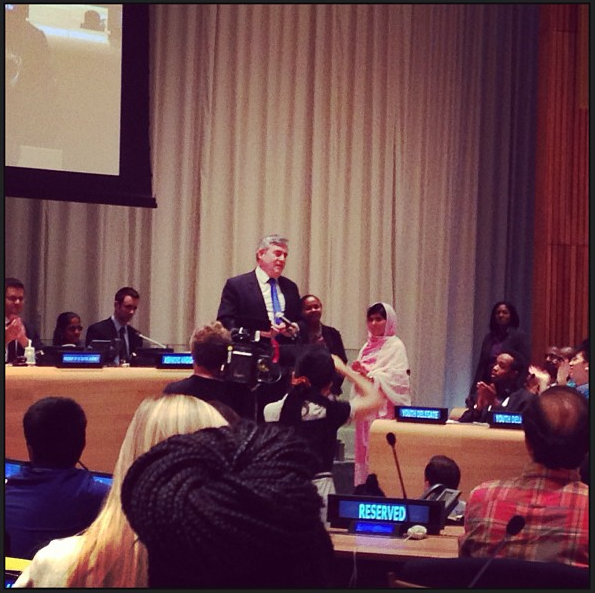 Today was Malala Yousafzai’s sixteenth birthday and it was celebrated by presenting world leaders like Gordon Brown, Ban Ki-Moon & others with a Youth Resolution to make education a right for all children. This was Malala’s first time speaking since she was shot in the head by Taliban on her own school bus in Pakistan. They thought that a bullet could silence her and her friends from speaking up for their rights to an education, but they were wrong. Out of their attack came thousands of voices standing up for girls’ education. Although Malala Day was a celebration of her birthday and her bravery, it was also a day to denounce all of the other attacks being made on students all over the world, which many people do not hear about. Malala speaks for the children who do not have voices. If you have a voice, use it. If you are lucky to live in a place where you will not be threatened for speaking, then speak up and speak loud. The 500 youths I spent today with were all united in their passion and determination to make the world a better place NOW, not later. The momentum that was created today has to continue into tomorrow, and the next day, and the next, until education is something every child can access.